The AIF is open to internal and external users. Please contact us if you are interested in using our services! Please use the CART system for booking our microscopes. You can read our Mission Statement here, or have a look at some images acquired using the systems available at AIF. Robert Haase, together with AIF, was featured on WISSENSCHAFTS KOMMUNIKATION. A long-running collaboration between AIF and Gene Myers's group at CSBD, Dresden, focused on exploring the bleeding edge of lightsheet microscopy. Featuring four scan heads to independently illuminate the sample from four directions and two high NA detection objectives, the microscope (nicknamed "X-Wing") is an original design by AIF. All the six objectives are co-focused at the same spot, and the microscope's hardware allows for controlling nearly all the degrees of freedom of the illumination optics. As a result, the X-Wing can fine-tune its configuration for maximizing the imaging quality. However, given the vast parameter space accessible to the microscope and the complexity of coordinating the image acquisition process, the controlling software is a key element of the machine. Robert Haase, postdoc in Gene Myers's group, building on Clear Control by Loïc Royer (now group leader at the Chan Zuckenberg Biohub) developed the control software for the X-Wing and successfully used the microscope to follow a variety of living samples, ranging from fly embryos to algae, during their development (see here for some examples). The microscope is now undergoing a major overhauling to become a modular system allowing quick assembly and rapid prototyping of sample-dependent light sheet microscopy setups including adaptive optics, multi-view illumination and detection, various sample-mountings and modular real-time post-processing on software side. New and improved environmental control for the lattice lightsheet! The AIF lattice lightsheet gets a new and improved environmental control for its sample chamber: now including heated tubing for delivering of humidified CO2, an improved sample chamber sealer and a more efficient humidifier. The add-ons will make sure the medium in the sample chamber will not evaporate and keep the pH constant for an extended time. As a results, your cells will now be kept under physiological conditions for longer, allowing for imaging them over an extended period of time. Come and test it out now! No more ruined time-lapses because the excitation and detection planes slowly drift apart! One of the most annoying failure our lattice lightsheet users noticed when running long-term time lapses, is an unpredictable, slow drift of the excitation plane away from the detection plane. As a result, what started as a great looking movie with crystal clear images, turns into a mushy, defocused series of unusable data. We finally could address this issue by writing a script which periodically measures the offset between the excitation and detection planes and correct for any drift as long as your time-lapse is running. Using the script completely removes the drift and insures your images are acquired always with the scope performing at its best! The AIF is participating to the EMBO practical course on Lightsheet Microscopy, which will be held in Dresden between August 2nd and August 11th, 2018. 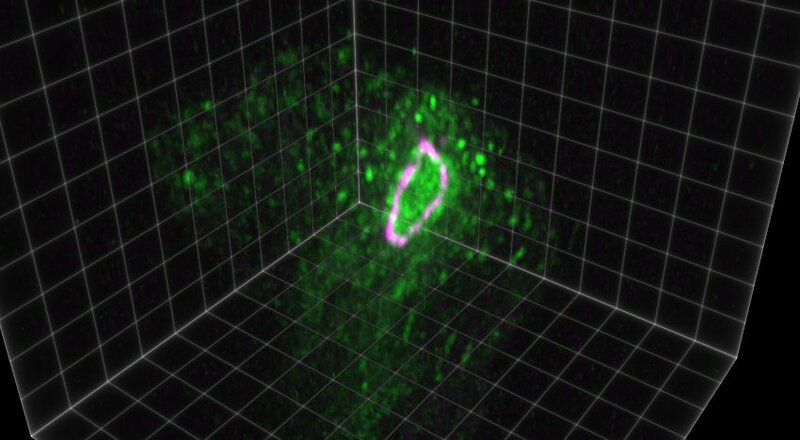 The course will focus on introducing lightsheet microscopy to the next generation of scientists, showing them what can be achieved with the most recent commercial and custom lightsheet microscopes (more information here). For the whole duration of the course, the lattice lightsheet microscope will be blocked. The AIF lattice lightsheet gets add-ons! 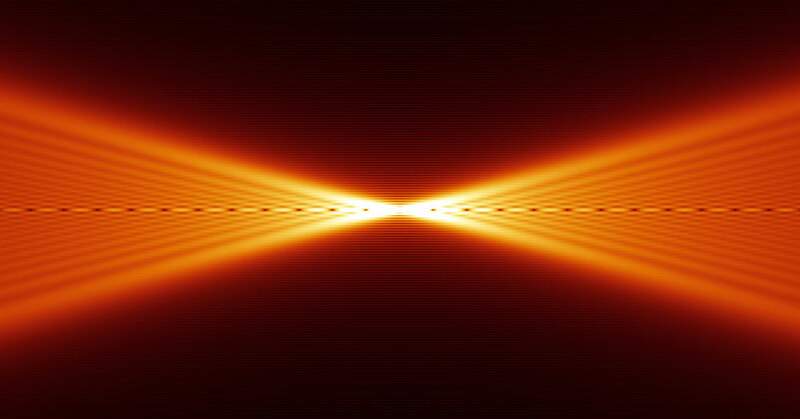 The lattice lightsheet available for booking at AIF gets a new 561 nm laser. The laser, with a maximum power of 500 mW, is seamlessly integrated into the current hardware and software, allowing for using more fluorescent molecules for imaging with the microscope. In addition, a better environmental control, including a custom made silicon sealer for the sample chamber, will help keeping your samples alive and kicking for longer while imaging! Come and check it out!!! As a contribution to the formative offer provided by the Dresden International Ph.D. Program (DIPP), the AIF is holding a course on Advanced Microscopy on June 5th and June 6th, 2018. The course will cover topics related to physical optics and microscopy, with a specific focus on the most recent techniques developed for advanced imaging. 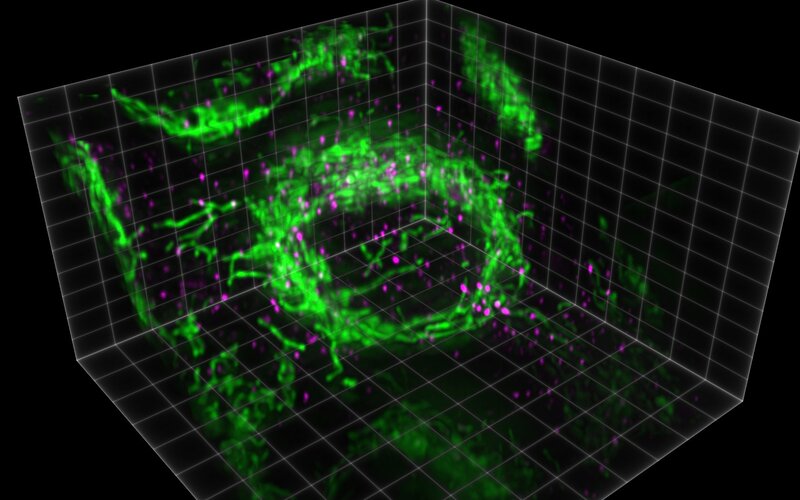 The aim is to illustrate the principles used in state of the art microscopy in the context of biological imaging. AIF was interviews by our local MTO: read the full story here!